This is the opening paragraph on the Agency|51 website headlined “Mythos”. We love the derivation of the name and all that it implies. It’s bold, brash and literally totally out there. But here’s the key: You have to be able to pull it off. Their client list includes Hilton, Cox, Time Warner and Comcast along with some local flavor like OC Tourism and Anaheim Orange County. Their work is fresh, colorful and fun. 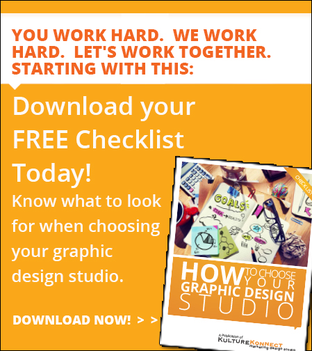 >>Download this FREE checklist on how to choose your graphic design studio. This is the kind of agency you hire when you want to take a new look at your messaging and design. These are the guys you hire when you want to hit “refresh”. We love that they literally fly a banner right in the heart of super cool and revitalized downtown Santa Ana. There is a lot going on in what is being dubbed as Downtown Orange County. The restaurant scene there is exploding as is the art scene. And the new Fourth Street market is simply amazing with cool new food shops and craft beer venues. Agency|51 is right in the middle of all that. Agency|51 has there extraterrestrial finger on the pulse of what is new and exciting in OC. They would be great creative choice for a client or a partner.